I am a big fan of found-footage horror movies (even bad ones), but this movie is, by far, the best of the genre. It’s a wild mix of humor & horror, with the protagonist troll hunter pulling of an epic performance that conveys, at its heart, a low-level bureaucrat who hates his job but nonetheless gets it done because someone has to. 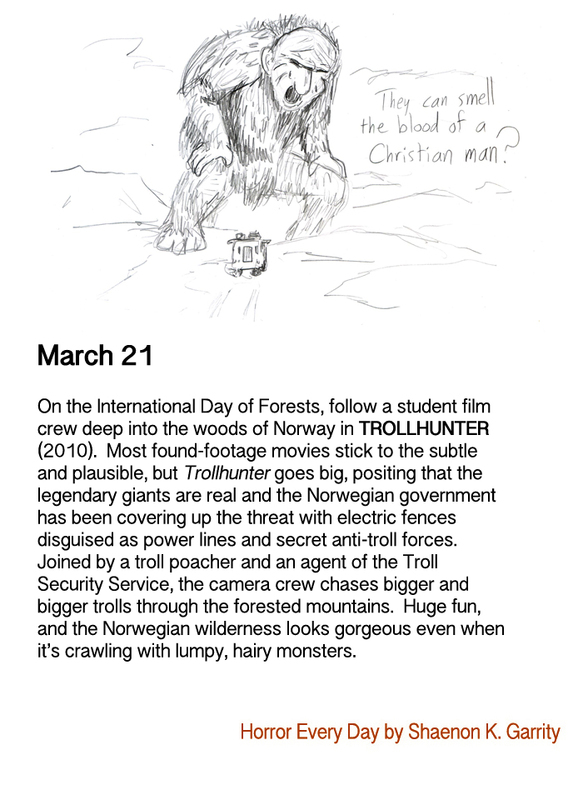 That the actor who portrays the troll hunter is best known for his comedic roles only makes his performance that much better. His reaction to the replacement camerawoman being Muslim was fun – he seemed intrigued about what, if any, effect her religion would have (yes, trolls CAN smell the blood of a Christian).